The anniversary of a loved ones passing in Jewish tradition is called a Yahrtzeit. It's observed each year on the Hebrew date of passing by reciting the Kaddish during a communal prayer service and by lighting a 24 hour memorial candle at home in memory of your loved one. To compute a yahrzeit date click here . Set a Yahrzeit Reminder as an easy way to remember both the English and Hebrew Yahrzeit dates of your loved ones. We’ll email you a reminder a few weeks prior to the Yahrtzeit along with a copy of the Mourner's Kaddish to honor your loved ones. We'll also mail you a complimentary Yahrtzeit candle to the address you submit below. I would like to attend a communal prayer service so I can recite Kaddish in honor of my loved one. Please contact me to arrange a time/date. 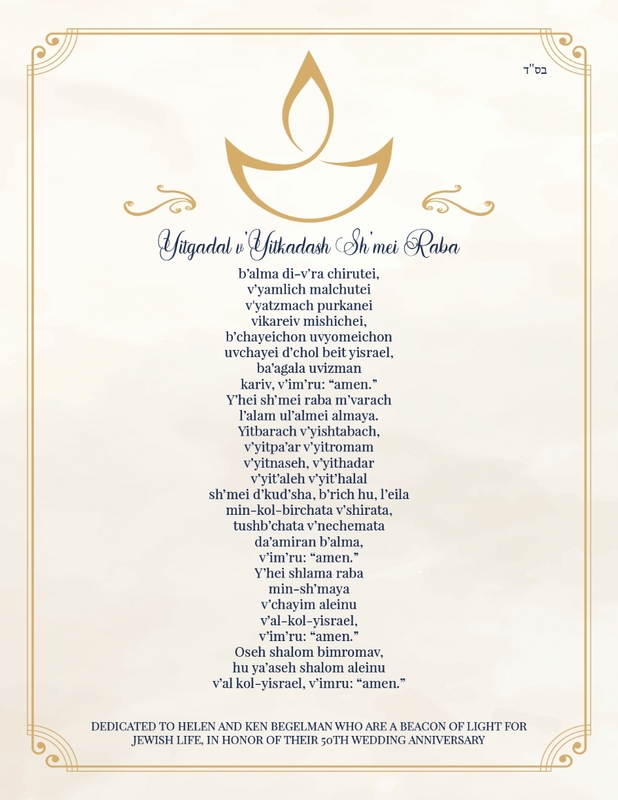 I would like the Chabad Jewish Center of Wyoming to say a Kaddish on my behalf on the day of my loved ones Yahrtzeit. Mail a tax-deductible check made payable to the Chabad Jewish Center of Wyoming, PO Box 9818, Jackson, WY 83002.